The Sarvadarsanasamgraha was published in the Bibliotheca Indica Series in 1858 under the editorship of Pandit Isvar Chandra Vidyasagara. The first chapter of this work contained an account of the Carvaka Darsana – a system of philosophy which believed neither in God nor in a future existence. But the most attractive feature of this account was the bold speculations of the system and the sarcastic tone it assumed against the cherished doctrines of Hindu Orthodoxy. 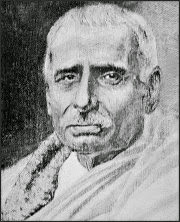 Those were days of translations from Sanskrit into Bengali and the translation of the Sarvadarsnasamgraha was undertake by the most learned man of the time, Pandit Jayanarayana Tarkapancanana, Professor of Hindu Philosophy in the Sanskrit College, Calcutta. But that conscientious scholar soon found that the task was beyond him; He translated the Carvaka Darsana all right. But the next Darsana, the Buddhist and the Arhata, proved a stumbling block to him and he gave the work up in despair. But there was a bolder spirit among his pupils. This was Pandit Mahes Candra Nyayaratna, then about thirty years of age. He boldly translated the whole work and issued it in his own name, his Guru writing a forward on the translation, which gave Mahes Candra a name and I should say, a fortune. This book early attracted my attention and I read not only the Bengali but also the Sanskrit. The versified portion of the account of the Carvaka I soon made my own. Curiosity impelled me to look at other references to the Carvakas and I got one in the Seventeenth Canto of the Naisadhacarita – a work which was very popular in those days. The tone of sarcasm was more bitter, but there was no new information. References were found in the Ramayana, the Mahabharata and in the Kavyas and Natakas, but information about the doctrines was very meager. The Sarvadarsanasamgraha was written by Madhavacaryya in the second half of the fourteenth century, and the Naisadha, according to the Bombay editor, in the end of the twelfth century. But the late lamented Pandit Vindhysvari Prasad Dube, in his Chronology of Nyaya works, says that Hira Pandit, the father of the author of Naisadha, was a contemporary and a rival of Udayana early in the eleventh century. The Carvaka Darsana, when it is mentioned in the Ramayana and the Mahabharata, must be older than them, and I began my search anew. The result of the research is given below. One of the six heretical teachers who were either older than or contemporary to the Buddha was Ajitakesakambali. He held a doctrine which was rank Materialism. He said that thee were four elements – earth, water, air, and fire – a combination of these in certain proportions and under certain circumstances produced vitality, and at death, earth went to earth, water to water, fire to fire, air to air and that vitality was gone. Just as certain ingredients coming together produce the power of intoxication, so the elements came together and produced what is life. Life beyond this is a myth. This body is atman. Atman is nothing beyond this body. Ajitakesakambali is regarded in some quarters as Carvaka. But I suspend my judgment for the present until I have exhausted my references in Buddhist and Jaina literature – store-houses of information about the most productive period of Indian thought. Ajitakesakambali must have lived either at the end of the seventh or he beginning of the sixth century BC, according to the date of Buddha’s nirvana in 543 or 483 BC. Kautilya, in the fourth century BC, speaks of the Lokayatikas only once in his work, but the connection in which he speaks of them seems to indicate htat they had a system like that of the Samkhya and Yoga. In the second century BC, Patanjali speaks of the Lokayatas and of Bhaguri as their Vartittika or supporter. Religious rites should not be pracatised. Who, unless he is a fool, gives away what belongs to him to others? A pigeon today is better than a peacock tomorrow. A sure kaudi is better than a doubtful gold coin. So says the Lokayata. These six seem to be genuine aphorisms from the Lokayata Sutras. In the eighth century, Haribhadra Suri, a voluminous writer of the Jainas, writes six verses in his Saddarasanasamuccaya noting the facat that the Lokayatas regard earthly enjoyment as the highest airm of human life. But his commentator Gunaratna gives us a quotation from Vacaspati, which may be synonymous with Brahaspati: Prthivyapetejovayuriti tattvani tatsamudaye sariravisayendriyasamjnas tebhyas caitanyam. From the statement of the commentator Gunaratna, it appears that there were Lokayatikas even in his time, the end of the fifteenth century AD; that they were given to eating and drinking; that they indulged in all sorts of sensual excesses; that they were Kapalikas besmeared with dust; and they were Yogins belong to all castes. There is another work on the History of Indian Philosophy entitled Sarvadarsanasamuccaya written under the patronage of a Rajput Prince at Delhi by Maladhari Rajsekhara Suri in 1340 AD. He includes the slokas on the Lokayatikas as found in Haribhadra’s work and attempts to refute their contents. This is all the information we can pick up from known literature in Sanskrit. From this, it is possible to recount a history of the system from the seventh century BC to the present day. The Lokayatas do not believe in Isvara or in a future existence. Virtue and vice they have none. They are Positivists. They have few doctrines to defend but many to assail, and in the matter of assailing they are bold, direct and exceedingly sarcastic. Some of their sarcastic arguments are very enjoyable. I cannot resist the temptation of quoting one or two. (1) Those who take a dip under the water of the Ganges with a view to rise up to heaven seem to be no better than sheep who, in order to advance for a fight in front, always retrace their steps. (2) If the animal immolated in a sacrifice goes to heaven, why does the sacrificer not kill his father and send him to heaven – a consummation so devoutly to be wished? (3) A Lokayata had a very orthodox wife, who always dinned into his ears that what learned men say after long deliberation cannot but be true. He said, very good, come. They went at midnight to the city gate. The broad road leading from the gate was full of dust. They made marks with three fingers on both sides imitating the footprints of wolves, and returned home. Next morning the footprints frightened even the best of citizens who were afraid that wolves were frequenting the city. The man now succeeded in bringing his wife completely around to his own opinion. The orthodox Brahmins hated them with a genuine hatred. Himadri in the 13th century says that they should be expelled from the Sraddhasabha like dogs. Dr. FW Thomas has recently published a work entitled Brhaspati Sutra which has been eagerly studied by all scholars interested in Indian history, though and society. The school of Brhaspati is older than Kautilya who quotes their opinion. Brhaspati is said to have been propounder of the doctrine of the Lokayatikas. He is also the writer of a Smrti work. Some people think that there were three Brhaspatis: the economist, the philosopher and the law-giver. Of the law-giver we have a number of verses printed in the collection of Smrti works. Of the philosopher, we have two quotations. The Sutras now published by Dr. Thomas, written in the form of aphoristic lectures by Brhaspati to his pupil Indra, the ruler of heaven – in which form the Smrti work is also written – related to Economics. Dr. Thomas is, however, not disposed to consider these sutras as genuine. He thinks there are sutras which relate to things very modern. Rejecting those sutras, and their number is large, there are enough in the book which should be as ancient as Brhaspati the economist. The ancient sutras speak of the Lokayatas with approval, extolling them to the skies. After enumerating the branches of economics then known, namely agriculture, cattle-breeding and commerce, Brhaspati says that in the matter of acquisition of wealth, Lokayata is the Sastra. Again, Lokayatikas say that the fruit of Varta, if not for the support of an army, soon perishes. Even in those Sutras which. Thomas considers spurious, we get more information about the Lokayatikas than anywhere else. One sutra says, if one not believing in Orthodoxy attempts to attain a human object in the right direction, he is a Lokayata. Another says that the Lokayatikas hld Dharma to be futile. It conduces to wealth (for the priests). It is like stealing iron from a lump. Agnihotra, morning and evening rites, reciting mantras – everything is done for wealth. One reads the Vedas, which are full of earthly desire, to hid one’s own transgressions. Similarly, Agnihotra is performed with the object of drinking wine and enjoying women. But the most important piece of information the Brhaspati Sutra give us is the close connection of the Lokayatas with the Kapalikas. It says, for the productin of wealth Lokayata is the Sastra; in the same breath it says, for Kama or earthly enjoyments, Kapalika is the Sastra. If Brhaspati says so he is sure to be denounced by orthodox people as Nastika. But that is not our present purpose – our present purpose is the Kapalika. These are always looked down upon by all classes of people. They are fond of cruel rites. None can forget the fierce Kapalika bent upon woman-sacrifice in Bankim Chandra’s most powerful novel, Kapalakundala. The scenes in that work are set in the Bengal coast in the early seventeenth century. In the year 1092 Krsna Mistra, in his wonderful allegorical drama the Prabhodhacandrodaya, introduces a Kapalika and a Kapaliki to test the character for continence of a Buddhist monk and of a Digambara Jaina priest. The pair is bent upon Kamasadhana. Bhavabhuti speaks of a Kapalika Aghoraghanta and a Kapaliki Kapalakundala bent upon the seduction of Malti and upon her destruction. But the Brhaspati Sutras tell us that the Kapalikas are an ancient sect, at least as ancient as the Lokayata; and that as the Lokayatas, with their Materialistic Philosophy, marked the beginning of the science of Economics, so the Kapalikas, with what system of philosophy we do not know, marked the beginning of the science of Erotics. Brhaspati considers them to be distinct sects, but Gunaratna identifies the Kapalikas with the Lokayatikas. The influence the Lokayatikas and of the Kapalikas is still strong in India. There is a sect, and a large one too, the followers of which believe that deha or the material human body is all that should be care for; their religious practices are concerned with the union of men and women and their success (siddhi) varies according to the duration of the union. These call themselves Vaisnavas, but they do not believe in Visnu or Krsna or his incarnations. They believe in deha. They have another name, Sahajia, which is the name of a sect of Buddhists which arose from Mahayana in the last four centuries of their existence in India. But Brhaspati Sutra gives the idea that there are more Kaplikas bent on Kamasadhana than Buddhists. If, however, you think that the soul [or the symptoms of life] is always born and dies forever, you still have no reason to lament, O mighty-armed. There is always a class of philosophers, almost akin to the Buddhists, who do not believe in the separate existence of the soul beyond the body. When Lord Krishna spoke the Bhagavad-gita, it appears that such philosophers existed, and they were known as the lokayatikas and vaibhasikas. Such philosophers maintain that life symptoms take place at a certain mature condition of material combination. The modern material scientist and materialist philosophers also think similarly. According to them, the body is a combination of physical elements, and at a certain stage the life symptoms develop by interaction of the physical and chemical elements. The science of anthropology is based on this philosophy. Currently, many pseudo religions—now becoming fashionable in America—are also adhering to this philosophy, as well as to the nihilistic nondevotional Buddhist sects. Even if Arjuna did not believe in the existence of the soul—as in the vaibhasika philosophy—there would still have been no cause for lamentation. No one laments the loss of a certain bulk of chemicals and stops discharging his prescribed duty. On the other hand, in modern science and scientific warfare, so many tons of chemicals are wasted for achieving victory over the enemy. According to the vaibhasika philosophy, the so-called soul or atma vanishes along with the deterioration of the body. So, in any case, whether Arjuna accepted the Vedic conclusion that there is an atomic soul or he did not believe in the existence of the soul, he had no reason to lament. According to this theory, since there are so many living entities generating out of matter every moment, and so many of them are being vanquished every moment, there is no need to grieve for such incidents. If there were no rebirth for the soul, Arjuna had no reason to be afraid of being affected by sinful reactions due to his killing his grandfather and teacher. But at the same time, Krishna sarcastically addressed Arjuna as maha-bahu, mighty-armed, because He, at least, did not accept the theory of the vaibhasikas, which leaves aside the Vedic wisdom. As a kshatriya, Arjuna belonged to the Vedic culture, and it behooved him to continue to follow its principles. I think it is better if we do not mix up the philosophical understanding emerging from our ancient texts and the latest discoveries of modern science. While respecting the philosophical outlook of our seers, we also should keep in mind that they did not have the scientific knowledge available today even to school children.